Chinese chefs are known for their varied cuisine. Chefs may make a vegetable dish followed by tilapia or a meat dish. What most people – and chefs – don’t realize is that these chefs focus primarily on one knife: the Chinese Cleaver. Unlike a butcher knife that can’t be used to fillet or chop shallots to very fine thinness, the Chinese Cleaver is versatile. Let me help you choose the right knife for you. 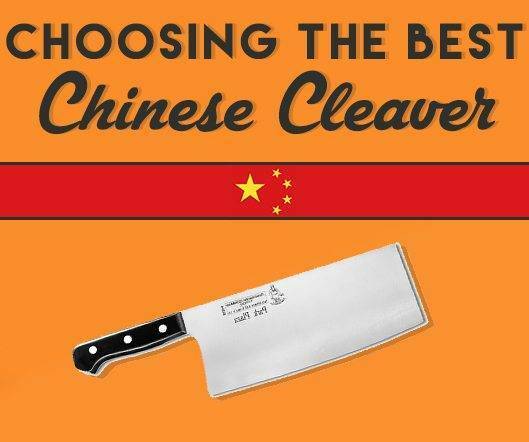 What’s the best Chinese Cleaver? There are a lot to choose from, but if you want a vegetable cleaver that is extremely high-quality and offers one of the best cuts we’ve ever tested, than Shun has the perfect model for you. Shun offers, in my opinion, the best Chinese chef knife on the market. It’s important to note that this model is not meant to break through bones. Instead, this model is meant for slicing through meat and vegetables. And it does it very, very well. The blade is 7” in length, not including the handle. Made from Damascus clad, the DM0712 has 34 layers of stainless steel on each side of the blade for the utmost in durability. There is a VG-10 cutting core and a PakkaWood handle with a full composite tang to ensure that the handle and blade never separate when chopping. Ultimately, this adds to the longevity and safety of the blade while also giving you a major boost in leverage when chopping. 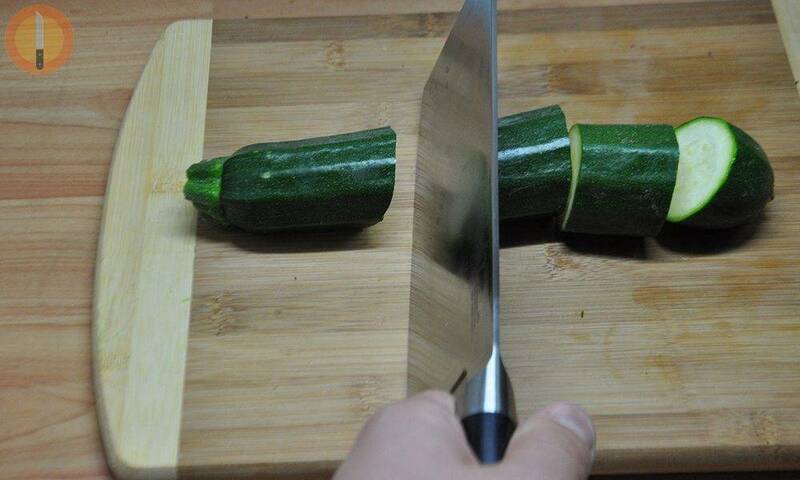 I cut all kinds of vegetables with my chinese cleaver. Moving down to the blade edge, this model boasts a 16-degree angle, allowing the blade to be sharper and more precise. One major benefit of Shun is that they made all of their blades by hand. When you get your cleaver, it will have been personally crafted and sharpened by an expert. The quality of these knives are simply unmatched. The Damascus styling was added due to the process, producing less friction when slicing. 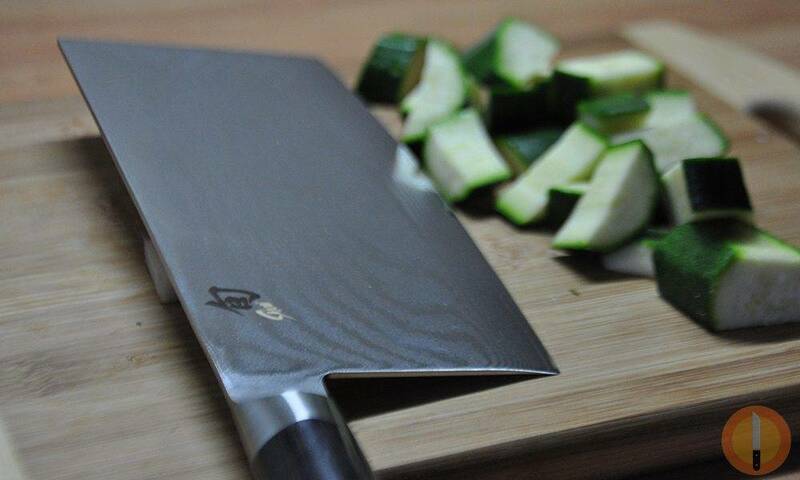 Hardness tested and certified, this cleaver is rated a 60 – 61 hardness ensuring it holds its sharp edge for longer. Never clean this cleaver in the dishwasher as Shun recommends hand washing and drying only. 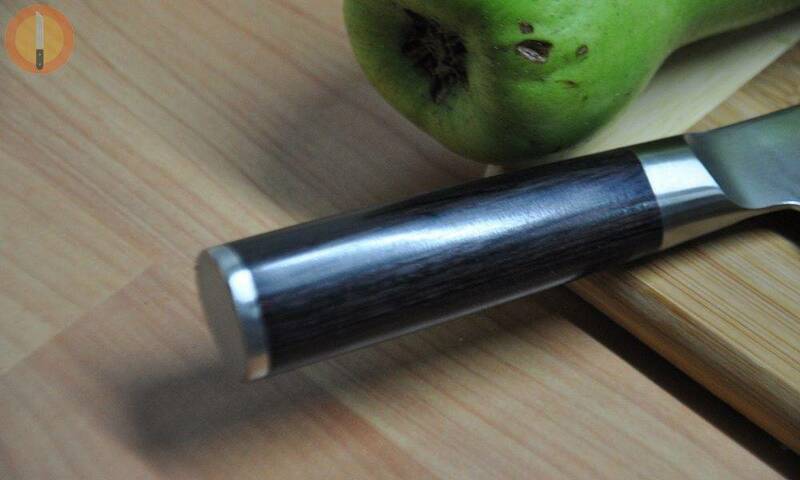 The wooden handle is really comfortable and fits your hand perfectly, even if you’ve got wet hands. Extreme durability and layered with stainless steel. 16 degree angle blade allows for the utmost in sharpness. Full-tang handle allows for added safety and leverage. Sharp as a razor slicing through most foods with ease. The manufacturer is very honest and forthright expressing that this is not a cleaver meant to cut through bones. Aside from this, you’ll find that Shun has one of the top, truly authentic Chinese Cleavers. It’s the perfect knife in terms of versatility and function. WHY CHOOSE A CHINESE CLEAVER? The Shun Chinese Chef knife has the perfect weight and balance. If you open your utensil drawer, you’ll find knives for paring, filleting, dicing and a plethora of other functions. After all, most knives serve one purpose very well, but aren’t exactly meant to fillet or perform other tasks. Cut carrots to paper-thin consistency. Remove skin from a fish. When a fine blade is needed for the job, a 2mm cleaver will perform best. The medium range will cut through smaller bones but will fail when trying to cut through thicker bones. A heavier cleaver with a much thicker blade. 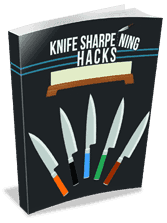 These knives are wider and have a shallow angle, which makes chopping through bones a breeze. 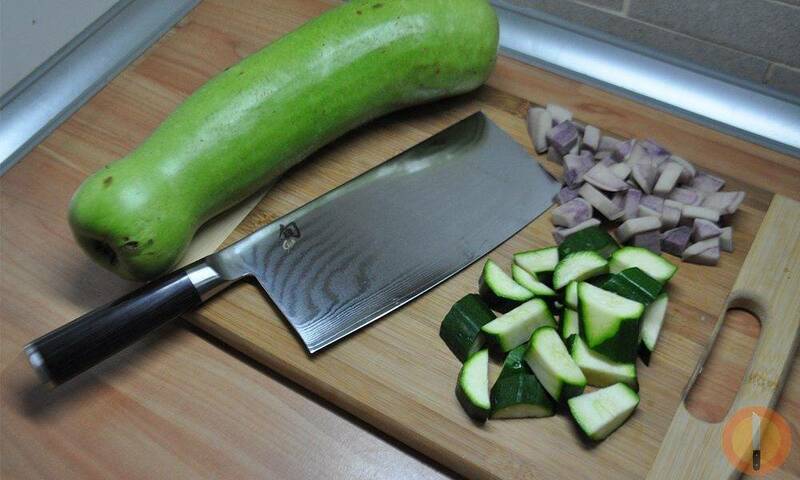 If you’re looking for a cleaver to cut through hunks of meat, the thicker the blade, the better. This is the only thickness range recommended for cutting through bone. All of the cleavers available come with a heavy tip. This tip allows for more momentum when swinging the blade, and allows for more pressure to break through bones or even debone chicken if you like. Note: The Western cleavers or butcher knives have the main purpose of being used for meat only. The Chinese chef knife can be used for meat as well as several other kitchen uses. Versatility is the main benefit of a cleaver. The ability to use the same knife to chop through chicken bone and then cut up garlic saves a lot of time in the kitchen. 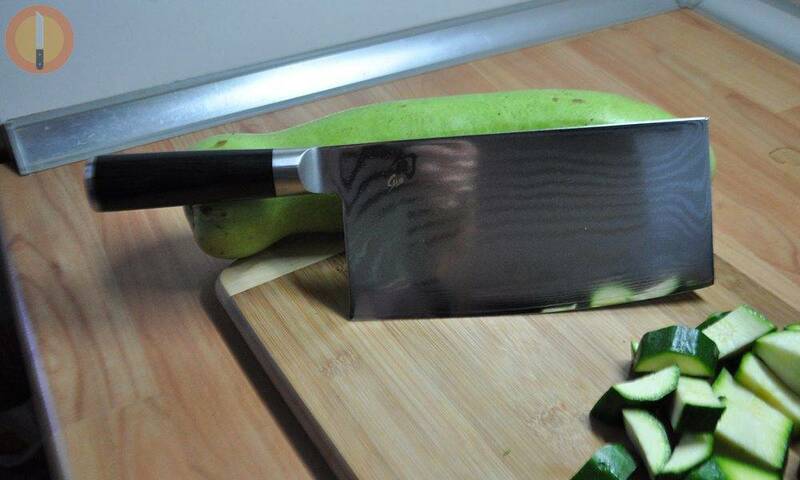 You’ll be able to prepare your foods much faster with a cleaver than you would switching from one knife to the next. It’s important to understand that while versatile, a cleaver is not good for every occasion. A good example of this is mincing garlic. If you want to mince garlic to very fine levels, you can use a thin cleaver to do so – it will work wonders. But, a smaller knife where the blade and handle are closer together will work better. Mincing garlic is always easier with a smaller knife because you don’t have to make dramatic movements to move the blade along in the same way that you do with a cleaver. Can you still use a cleaver? Yes, but if you were mincing for hours on end every day, you’ll find that other knives perform better without much strain put on your shoulder or forearm. Blade Material: The most important factor when buying a cleaver. All blades used to be made from carbon steel at one time due to the steel’s durability and natural properties. Stainless steel is now a popular option because it doesn’t leave a lingering taste in the chopped food like older carbon steel models would. Mixed blades featuring both metals are also popular and very durable. Blade Length: The majority of blades will come in lengths of 7+ inches. Anything smaller is not ideal. Handle: You’ll find wood, stainless steel and hard modeled plastic handles. Stainless steel and plastic work well while, wood provides the nicest look and a firm grip. The handle choice is purely preference. Design: Manufacturers are honest when they discuss what they’re blade was designed to do well. Many will state they’re only good for cutting meat and vegetables, and not recommended for chopping through bones. Tang: Full tang is the optimal choice. Tang is how the blade and handle meet. Partial tang means that the blade and handle are not continuous, so if the handle breaks, the blade will likely go flying in the process. You’ll also want to look for any extras that standout. Some models will come with a seamless handle and grip that reduces the risk of breakage, while others will have different edges with a specific purpose. Now that you know what a Chinese cleaver is, and what it is used for, you can go ahead and make the right choice for you. Don’t forget that even the most expensive model must be properly maintained and sharpened in order to deliver a great cutting performance. If you need further help, drop a comment below.